Just Listed in RiverPark Neighborhood. 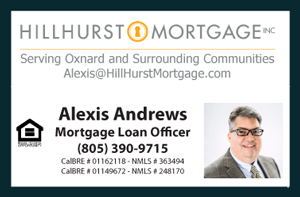 You are all invited to my Open House Saturday, October 4, 2014 from 1 to 4 PM located at 3131 Lisbon Ln Townhouse for Sale Oxnard CA in the community of RiverPark. Great maintenance of the landscape and parks all throughout the neighborhood making walks a true pleasure and inspiring active lifestyles. Enjoy a Pet friendly environment. The property is located near schools, markets, restaurants and the hottest shopping destination in town- The Collection! Fine urban living in one of the most sought after communities! This townhouse boasts a spacious kitchen with wooden flooring, granite counter tops and large wooden cabinets throughout, ideal for the inspired chef within. Entertain guest with ease and comfort throughout the open living room and dining room areas. Bring all your friends and family to the Open House. I hope to see many of you there. If you can not make it, you can always call or text me for a private showing directly at (805) 444-6366.